UN Security Council Report on the situation of piracy in the area. It has been more than two years since a large commercial vessel has been hijacked and held for ransom by Somali pirates. 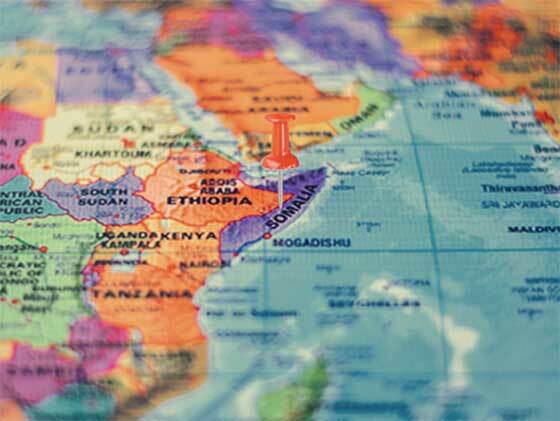 Following the trend in 2013, the total number of incidents caused by pirates based in Somalia continued to fall, from 20 in 2013 to 12 during the reporting period, according to figures provided by the International Maritime Organization (IMO). This represents a significant decrease from the 78 reported in 2007, when Somalia-based piracy was prevalent, and the 237 ships targeted by Somali pirates in 2011. The total number of seafarers from large commercial vessels who are being held hostage by Somali pirates currently stands at 26, compared to 37 in October 2014. The positive overall trend notwithstanding, credible reports suggest that commercial ships remain a target of Somali pirates. In most cases, ships were successful in preventing attacks through vigilance, situational awareness and an assertive response, in accordance with the Best Management Practices for Protection against Somalia-based Piracy. Combined threat assessments by the European Union Naval Force (EUNAVFOR), NATO and the Combined Maritime Forces with regard to the threat of piracy, in terms of capability, intent and opportunity, suggest that the continued suppression of piracy is reliant on the maintenance of collective response mechanisms by Member States, regional actors and the United Nations system. In addition, it is stressed in the assessments that root causes, such as a fragile economy, the lack of alternative livelihoods and weak governance structures, continue to require the attention of the Federal Government of Somalia, with support from the international community. Smaller vessels remain vulnerable. Figures for 2014 from the United Nations Office on Drugs and Crime (UNODC) show that there were 18 pirate attacks on fishing vessels and two dhows were held. In addition, in early 2015, 37 Iranian fishermen aboard two fishing vessels, the Siraj and the Jaber, were seized by pirates after allegations of illegal fishing activities. The Jaber subsequently escaped with its crew; 19 hostages continue to be held, however. There is evidence of a complex relationship between piracy and illegal, unreported and unregulated fishing. The Secure Fisheries programme, in its report of 16 September 2015, and the Food and Agriculture Organization of the United Nations (FAO) noted a marked increase in reports of such fishing by foreign vessels off the coast of Somalia, reflecting the perceived reduction in the threat of piracy in the area. Noting the upturn in attacks on fishing vessels close to the Somali coast since the beginning of 2015, it was noted by Secure Fisheries and FAO that local frustration with such activities may be contributing to a reappearance of coastal community support for piracy. It also remains clear that despite a marked reduction in the commission of piracy attacks, the criminal networks behind such acts have not been defeated. During the reporting period, crime trends indicated that the Indian Ocean was increasingly exploited by criminal organizations to engage in seaborne transnational criminal activities, including trafficking in persons and smuggling of migrants, drug trafficking, illegal fishing and wildlife and forestry crime. Such activities leverage the existing resources and expertise of criminal syndicates, including pirate and terrorist networks, and take advantage of normative vacuums in the regulation of international and territorial waters and maritime law-enforcement capacities to further illicit activities.